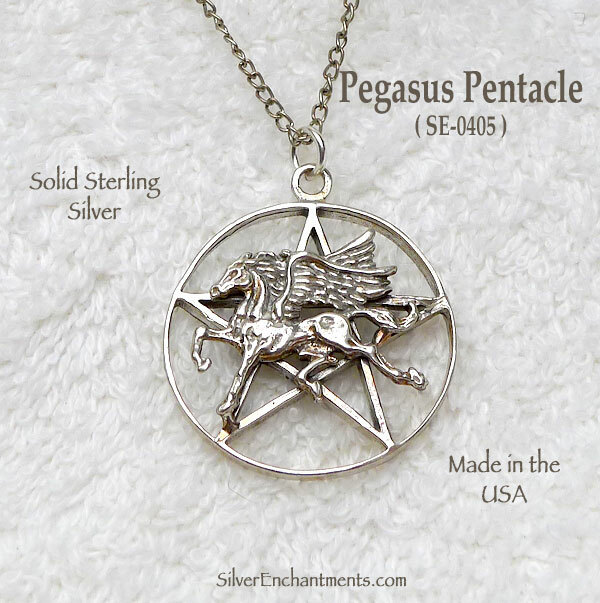 A Gorgeously-detailed Pegasus atop a traditional year-wheel Pentacle - Cast in Solid Sterling Silver by us here in the United States. Perfect larger-sized pendant for your favorite Necklace Chain, this Pegaus Pentacle Pendant measures approximately 1-1/4" in diameter and a generous 4.5mm thick. Sold by: Pendant or Necklace. 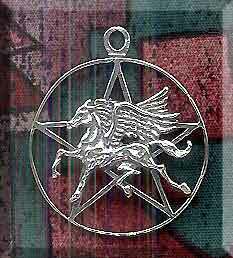 In Greek mythology, Pegasus is the winged horse that was fathered by Poseidon with Medusa. When her head was cut of by the Greek hero Perseus, the horse sprang forth from her pregnant body. His galloping created the well Hippocrene on the Helicon (a mountain in Boeotia). Pegasus' story became a favourite theme in Greek art and literature, and in late antiquity Pegasus' soaring flight was interpreted as an allegory of the soul's immortality; in modern times it has been regarded as a symbol of poetic inspiration. 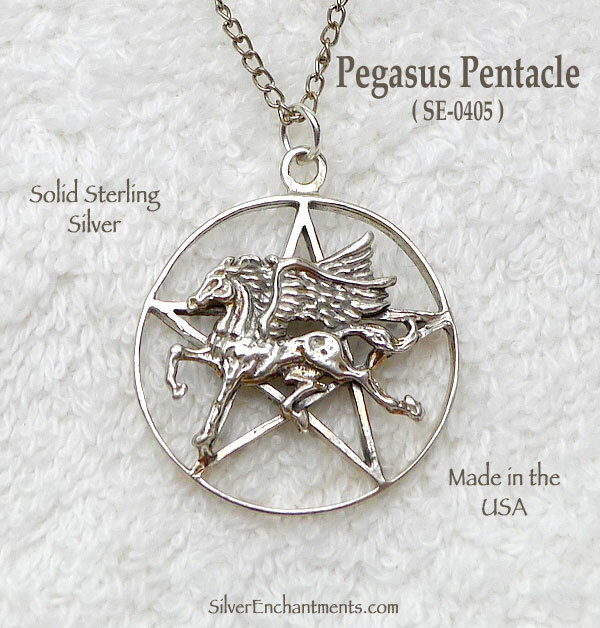 > You can Customize this item into a Pegasus Pentacle Necklace -- Choose from : Pendant Only, or on a Sterling Silver Necklace Chain (see last picture for current chain style). 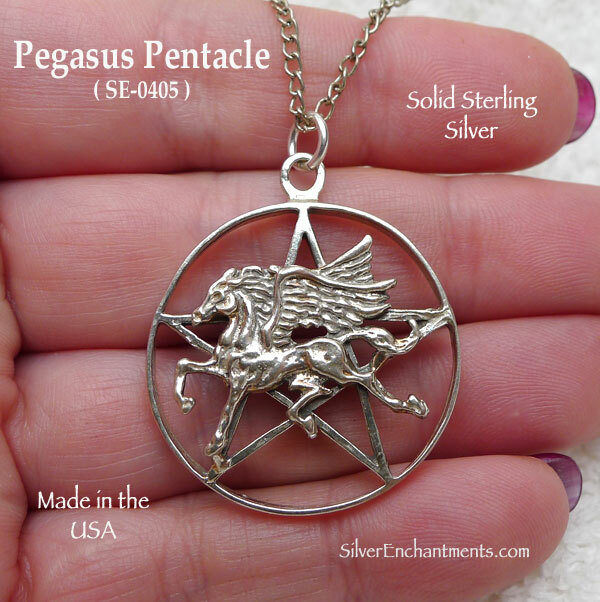 When selecting on a SS Chain, your Solid Sterling Silver Pegasus Pentagram Necklace will come Boxed.